One of my family’s traditions is to go to the movies on Christmas Day. I don’t really know how this tradition got started but it’s one of my favorites. After we open up all our presents and have stuffed ourselves with food, we load up the family and head to the movies. This is year I am pushing to see SING! It looks so funny and cute! I always try to wear something comfy to make it a casual Christmas Day outfit because I know I will stuff myself with lots of popcorn at the movie. This popover from Duffield Lane is perfect for a casual Christmas Day movie. The material is so soft and comfy, but the tartan pattern is so festive! 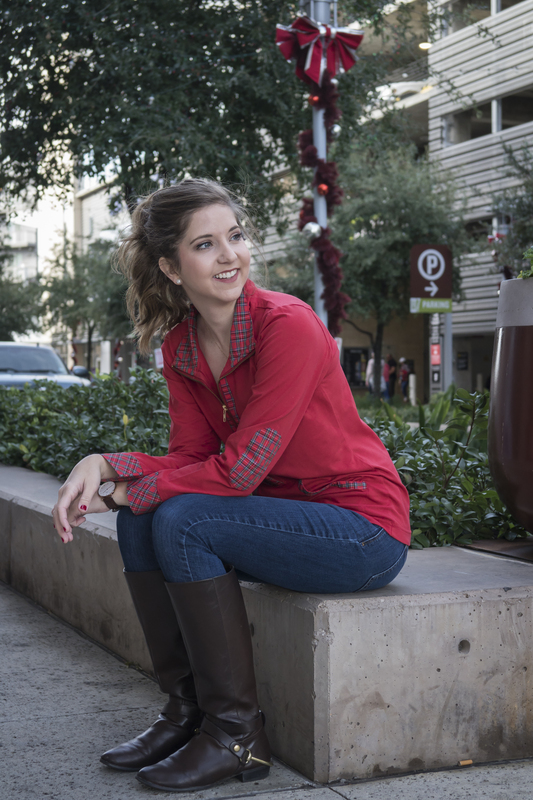 This popover can be layered with a t-shirt under and a coat over if the weather decides to be cold on Christmas…but you never know with Texas. This post was written in collaboration with Duffield Lane.